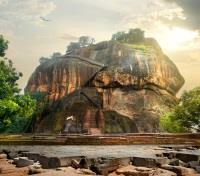 Private guided tour of the UNESCO-listed Sigiriya Rock Fortress. 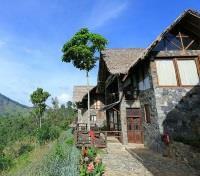 Hike the lush Ella highlands with a private guide. Discover the Temple of the Sacred Tooth in Kandy, a revered Buddhist site. 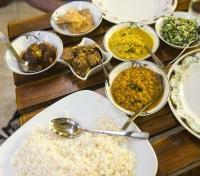 Dine with a local family in Galle. Push beyond the surface and explore the natural and spiritual treasures of Sri Lanka in-depth on this private guided Signature discovery. For your added comfort, your English speaking chauffeur guide will be waiting for you outside the customs area with a sign with your name on it and accompany you to your accommodation. A private vehicle with an English-speaking chauffeur guide will provide a transfer between the airport and Kotugoda. The approximate travel time is 30 minutes. 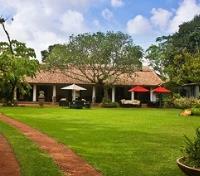 The Wallawwa, an old colonial manor house, has been lovingly restored to provide 14 beautifully furnished guestrooms. The Wallawwa is conveniently located just a short drive away from Colombo International Airport in a lush and tranquil setting, tucked into a quiet corner of Negombo’s rural hinterland. Much care and attention has gone into creating a hotel that is enjoyable for both guests and staff alike. 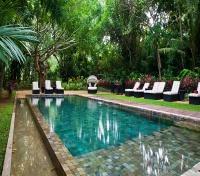 This beautiful country house hotel features gourmet dining options, jungle pool, and a heavenly spa. The Wallawwa promises to start and end your Sri Lankan holiday in style. 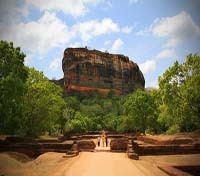 Transfer from Kotugoda to Sigiriya with a private vehicle and English-speaking chauffeur guide. 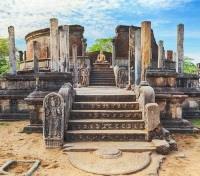 Your first stop will be the UNESCO World Heritage site of Anuradhapura, the city of Kings. Not many places in the world can claim to have been continuously inhabited for over two millennia. 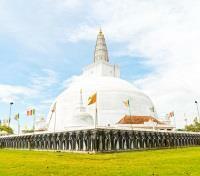 Even to this day, the city of Anuradhapura is a sacred pilgrimage site to many people. You will have the chance to see the sacred fig tree (Sri Maha Bodhi), said to have a branch, grown from the original Sri Maha Bodhi in India, from which the Buddha gained enlightenment. During your stay at Anuradhapura, you can also visit other city highlights, including dagobas (Buddhist stupas) which stand as majestic as they did during the reign of the Kings. Later, you will discover the hidden archaeological site of Kaludiya Pokuna, where you might encounter monks that have taken a vow of silence and have, therefore, minimal interaction with people. 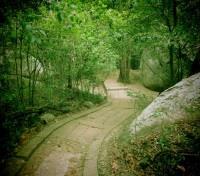 Take time to explore the area at your leisure before continuing to Sigiriya. Jetwing’s most ambitious project, Jetwing Vil Uyana, is located within 2 miles of Sigiriya, the ‘8th Wonder of the World’. In this ground-breaking undertaking, Jetwing Hotels created a private nature reserve consisting of a wetland system, complete with lakes and reed beds. It’s a nature lover’s paradise. From the nearby UNESCO World Heritage Sites of Sigiriya and bordering ancient kingdoms to the abundance of natural reserves, you will find yourself in perfect proximity to some of the greatest experiences in Sri Lanka. Spread over 28 acres, the unique placement of dwellings and other buildings allows as much space as possible for nature to thrive. Be sure to sign up for the night trail experience in search of the elusive Loris. The accommodation is both stylish and comfortable, designed to easily blend in with the eco-system. 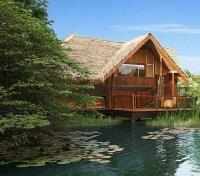 Don’t be deceived by the outward appearance of rural simplicity: this is a sumptuous, world-class eco-resort. Today you and your English-speaking guide will venture out to see the ancient site of Pidurangala. This massive rock formation was once believed to have been a royal temple to King Kashvapa, who also built the Sigiriya Fortress. Wear comfortable shoes as you'll be hiking for an hour, depending on fitness, and be aware that climbing to the top of Pidurangala may be quite strenuous. Breathe in the fresh air as you reach the top of the rock and enjoy the magnificent vistas, including the majestic Sigiriya looming proudly in the distance over the green carpet of Sri Lankan countryside. Polonnaruwa, Sri Lanka's second medieval capital, is an enchanting and timeless reflection of the country's remarkable history. Its landscape is dotted with hundreds of age-old structures; tombs, temples, statues, and stupas offer you an incredible insight into what the city might have looked like in its heyday. Meet your private chauffeur guide and head to Polonnaruwa to discover this fascinating UNESCO World Heritage Site. Visit the remains of the Royal Palace constructed by the ancient King Parakramabahu and let your imagination revive it to its full former glory. Head to Gal Vihara and take in the beautiful images of Buddha, expertly cut from granite slabs and beautifully accentuated by natural marbling. Explore the Shiva Temples dating back to the days of the South Indian invasion and admire their superbly intricate stonework. Upon the conclusion of your tour you will be privately transferred back to your accommodation. 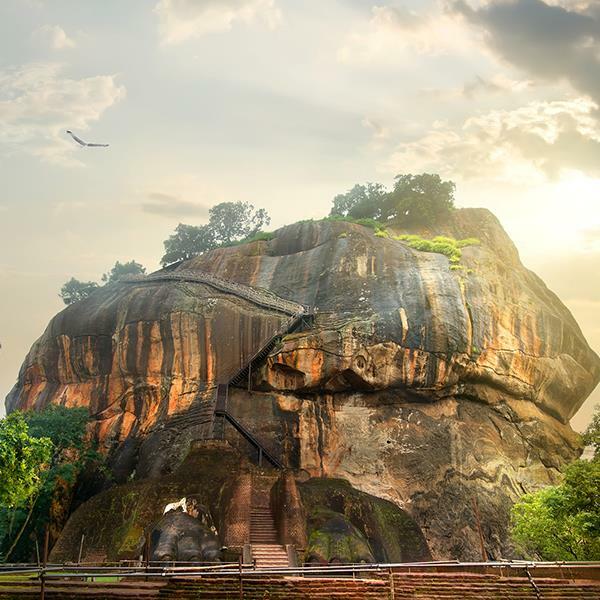 Step back in time and discover one of Sri Lanka’s crown jewels as you explore the marvelous rock fortress of Sigiriya with your private guide. The site was the domain of King Kashyapa whose goal was to build an impregnable fortress and a heavenly abode within it. Upon reaching this awe-inspiring natural wonder proudly soaring over the Sri Lankan countryside, start the climb of 1200 steps before you reach the top. On your way admire the famous Sigiriya frescoes depicting wasp-waisted buxom maidens bearing flowers. Head to the nearby Mirror Wall for an opportunity to see ancient graffities dating as far back as the sixth century. When you reach the top of the Fortress, take in the most scenic bird’s-eye view of the leafy emerald meadows and villages beneath you. Begin exploring the ruins of the structures that once graced this area; take your time and enjoy one of the world’s best-preserved examples of ancient urban planning. 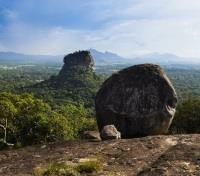 Your Sigiriya discovery takes approximately 1.5 to 3 hours, depending on the pace you wish to ascent. Climbing to the top may be strenuous for some travelers, but your reward is an unforgettable experience and stunning views from the top. After the conclusion of your tour you will be privately transferred back to your hotel. Ritigala is home to 70 rock caves that are believed to have been inhabited since the first century BC. What you discover today are the ruins of that very monastery, surrounded by the mysterious natural ambiance of Ritigala. Following the meandering, beautifully constructed stone-lined paths, your private guide will lead you to this ancient Buddhist site. During your walk, you will also come across a huge man-made reservoir. Upon reaching the ruins, take your time to explore and connect with nature as you appreciate the beauty and tranquility of this fascinating site. You may also opt to walk up all the way to the higher portions of the mountain, perhaps sensing even more positive spiritual energy. Entrance fees are included. Transfer from Sigiriya to Kandy with a private vehicle and your English-speaking chauffeur guide. 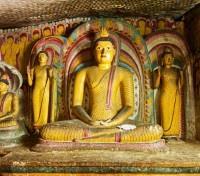 En route you will visit the famous Dambulla Rock Cave Temples. The cave temples complex that lies atop a massive hill on the edge of the town is one of the eight UNESCO world heritage sites in the country and is renowned for its unique mural paintings and sculptures. The Cave Monastery, home to Buddhist monks, is covered with exquisite 2,000 year-old murals depicting the life of Buddha. Explore this mystical site accompanied by your guide and feel a close connection to the civilizations that have thrived in this area over the millennia. Make sure to take in the incredible vistas of the surrounding countryside. 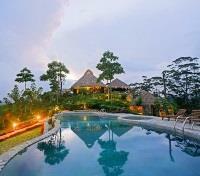 Upon the conclusion of your tour you will be privately transferred to your hotel in Kandy. Cinnamon, Cloves, Nutmeg, Cardamom, Pepper and Turmeric; these names not only make one think of delicious food but also relate to the age of discovery and to the 500 turbulent years in the history of Ceylon under the Portuguese, Dutch and British rule. 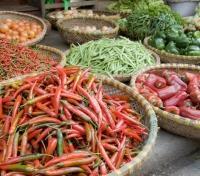 Today’s trip to the authentic local markets will provide you with a genuine and rewarding Sri Lankan experience. The spice selection is top notch, and with the help of your guide you can pay a fair price. For the adventurers and lovers of local food, make a stop inside the market at the Midlands Café, a noted classic renowned for its loafs of bread served alongside delicious curries and accompanied by a strong cup Ceylon tea. Before leaving the market be sure to browse the wide array of exotic fruits; a local favorite is the wood apple with its fermented smell, mixed with tamarind. Also look for jack fruit, rambutan, mangosteen and many more, including impressive, fresh picked bananas. Your tour concludes with a private transfer back to your accommodation. The Elephant Stables is a beautiful Colonial period bungalow on a hill overlooking Kandy. Located on a private road, only a short drive away from Kandy’s historic city center, The Elephant Stables is a haven of serenity in the heart of Sri Lanka’s picturesque Hill Country. The property was formerly the home of Adigar Sir Cuda Ratwatte, who was a Ceylonese nobleman, and the first person from Kandy to be awarded a knighthood by the British. He was also the uncle of Sri Lanka’s Prime Minister Mrs Sirimavo Bandaranaike, the first woman to be elected the head of government in the world. Historic associations play a large role in the make-up of The Elephant Stables. 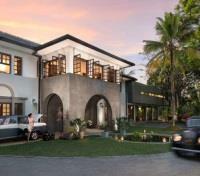 It has been lovingly restored with a combination of original mid-century planter’s furniture and chic interiors to enable guests to feel the ambiance of a Ceylon Planter’s bungalow while enjoying all the luxuries of an up-market, boutique property. Kandy belongs to the fabric of legends. While Sri Lanka was under the Portuguese and Dutch rule, the Kings of Kandy remained defiant and independent. It was much later during the British rule that Kandy finally fell to the biggest empire in the world. Accompanied by your private chauffeur guide, venture off into the streets of Kandy, experiencing its rich culture and exploring the vibrant local markets. Today Kandy has grown to a sizeable city that still retains touches of its colonial history in buildings such as the Queen's hotel, a beautiful 19th century neoclassical beauty. Wander around the Kandy Lake and the town’s characterful neighborhoods and get a feel for this wonderful place. Continue to the Temple of the Sacred Tooth Relic which is, without a doubt, the city’s biggest pride and one of the world’s holiest Buddhist shrines. Head inside this religious complex and feel in awe of its spiritual magnetism. Upon the conclusion of your tour you will be privately transferred to your hotel. The Royal Bar is a Kandy institution. If you love traditional bars then don't miss out on this classic! Locals frequent the establishment for its famed spicy deviled chicken. Seated in the open patio while the evening brings through fresh Kandyan breezes, tranquility prevails. It is a great place to have a couple of beers and try some Sri Lankan style tapas. A popular choice is chickpeas and deviled chicken, however, if you prefer something that is not highly spicy, consider the classic British style fish and chips. 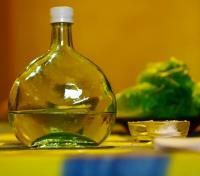 Those more adventurous might want to order a shot of arrack, the local ‘rocket fuel.’ Its sweet flavor can be deceitful, the drink is powerful but pairs perfectly with spicy dishes. Please note: Drinks are not included and are to be paid for on-site. 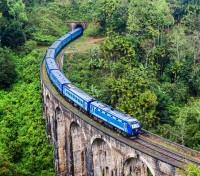 Today you will embark on a scenic train journey through Sri Lanka's hill country. Your English-Speaking chauffeur guide will transfer you to the train station and assist you with boarding the train to Ella. Upon your arrival in Ella, the same chauffeur guide will be waiting for you to take you to your hotel. Total journey time is approximately 6 hours. It’s a spectacular scenic experience. The train passes along the mountain edges, with wonderful views of the lush valleys down below and tea factories clinging to the hillsides. Not surprisingly, this particular stretch of the train’s journey is considered one of the most beautiful in the world. Please note that your chauffeur guide will not be traveling with you on the train. They will however, pick you up at Ella station. Experience the beauty and serenity of Sri Lanka’s scenic Hill Country while enjoying the luxurious comforts of a boutique hotel. 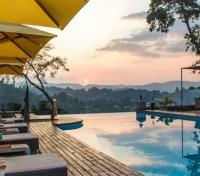 98 Acres Resort and Spa is an elegant, chic hotel that stands on a scenic 98-acre tea estate, surrounded by stunning landscapes. This uniquely designed resort blends perfectly with its natural surroundings, and it consists of charming chalets mostly made of recyclable materials. 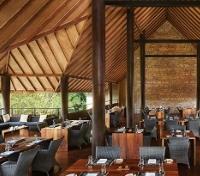 Discarded railway sleepers are put to good use in the making of decks and walls at the resort. Rough-hewn granite slabs lend simple elegance to the floors of the chalets, adorned with thatched roofs of ‘Illuk’ straw, adding to their rustic beauty. The exquisite countryside, breathtaking views, and exciting nature trails will assure that you have a memorable holiday at one of the most breathtaking hotels in the region. Today, with your English-speaking chauffeur guide, you will head high up to the highlands of Sri Lanka to see the charming town of Ella. Here the air is cooler, the vegetation is lush, and fruit grow aplenty in the pleasant hill climate. 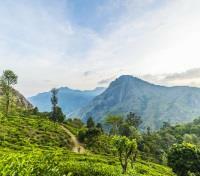 This is one of Sri Lanka's prime hiking destinations. If you are looking for a leisurely hike, head to the Little Adams Peak. The hike itself takes approximately 1 hour and the views of the valley and surrounding hills are truly breathtaking. If you are looking for a more challenging trek, head towards the Ella Rock. The walk will take you along the railroad tracks and toward a swinging metal bridge - those with vertigo don't look down! The hike continues past a eucalyptus forest. Here the climb can be a bit steep, and you will need to be in good physical shape to attempt it. Local farmers will guide you all the way (the farmers are not professional guides and speak little English). Once you reach the summit, enjoy spectacular views of the surrounding peaks and verdant valleys. The hike takes approximately 3-4 hours depending on your pace. A private vehicle with an English-speaking chauffeur guide will provide a transfer from Ella to Galle. The approximate travel time is five hours and 30 minutes. 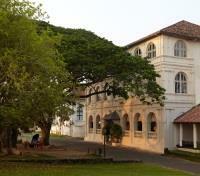 Set among lush gardens, within the Galle Fort, Amangalla is the stately grande dame in the city of Galle. Beautifully restored and brought to life by antique furnishings, this 17th century Colonial-style building features 30 rooms and suites, connected by a two-story garden house. The hotel serves as a perfect base for your exploration of Galle’s historical district. Furnished with period chairs and tables, crisp white linen and antique silverware, the high-ceilinged Dining Room is an intimate setting for meals, showcasing the best in local produce. The splendid Amangalla hotel is part of Sri Lanka’s living heritage, imbued with colonial gentility and contemporary energy. 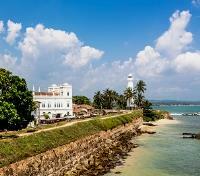 There are places that truly capture the imagination of travelers, and the alluring coastal town of Galle is one of them. This port city in southern Sri Lanka is one of the island’s ‘must-see’ stops, and its Old Town and Fortifications have earned it the UNESCO World Heritage Site recognition. This afternoon, enjoy a private walking tour accompanied by a local guide and discover the true face of Galle. The walls that envelope the fort have kept the inner city protected from years of turmoil and conquest, making Galle into a synthesis of the country’s history. From Muslim gem traders and Portuguese adventurers to savvy Dutch privateers - and let’s not forget the English - they all made the city their home at some point in history. 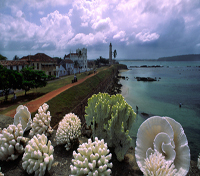 Take in Galle’s unique atmosphere of a place lost in time as you stroll through the historic town with your guide. Feel as if you have been transported back in time as you stop by Galle’s charming shops and admire its beautifully restored colonial mansions. Enjoy an authentic experience with Mother Washanti as she prepares unique and delicious curries. Watch her preparations and indulge in an interesting time with her and her husband, Father Sam, as he shares interesting stories about his time in New York as a cabbie. After you have savored her wonderful food and relaxed for a while longer, Father Sam and Mother Washanti will have made you feel like you are part of a new family. Private transfers are included. Settle in for a transfer from Galle to Sri Lanka International Airport with a private vehicle and an English-speaking chauffeur guide. The transfer is approximately 3 hours. 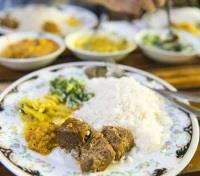 En route you will stop by a traditional Sri Lankan local home to experience the authentic flavors of the island! You will experience a real home cooked Sri Lankan meal. Let your cook know if you have any special dietary requirements and the wonderful Surangi will work her magic with the curries. Remember that you can curry everything from pineapple to veggies, seafood, and meats.